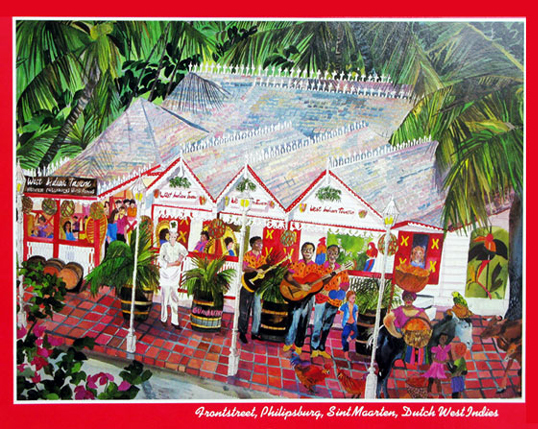 In 1988 I was commissioned to paint a watercolor of West Indian Tavern. A popular local restaurant on Front Street in Phillipsburg, St. Maarteen. The restaurant was a favorite to the local and tourist as it was the typical West Indian Architecture turned into a restaurant and pub. They served Conch, lobster, Fishes, Meat, Poulty and other local appetizers. Next Next post: TV Show: “Chicago Hope”, Featured shots of several prints.